Home >> Daily Dose >> What’s Driving A New Generation of Homebuyers? What’s Driving A New Generation of Homebuyers? The competition for first-time homebuyers is about to heat up. Gen Z is planning on buying a home, according to a report from PropertyShark. According to PropertyShark, 83 percent of of Generation Z, those born after 1995, are planning on buying a home in the next five years. Like millennials before them, Gen Z’s top obstacle is college debt. Half of the millennials and Gen Z alike are still renters, with student debt holding many millennials back from saving for a down payment. Gen Z is still set to become the biggest competitor in the housing market for millennials. 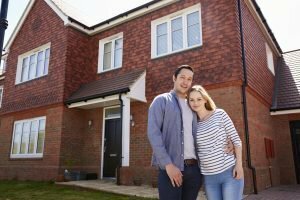 Currently, millennials are the most likely group to buy a home in the in the next five years, with 87 percent of millennials planning on buying in that time frame. Gen Z is optimistic about home buying, and according to Zillow. There are already around 100,000 Gen Z homeowners, with only 1.2 percent of these young owners 60 days late on their mortgage payments according to data from MarketWatch, compared to 1.6 percent of Boomers and Millennials and 2.3 percent of Gen X mortgage holders. Gen Z’s optimism extends to home size. According to Zillow, when asked what they would be willing to compromise on when buying a home, space was the least likely aspect for Gen Z respondents to give up. Millennials prized location more than anything else, but Zillow notes that Gen Z are more willing to sacrifice an easy commute for space and amenities. Like millennials, Gen Z is moving to urban areas, however, most prefer suburbs over the urban centers, with 60 percent preferring to move to a suburb and just 30 percent preferring urban areas. This still means millennials and Gen Z alike are shunning the rural and small town life. Additionally, Gen Z is willing to take on more challenging home purchases, willing to buy fixer uppers if it means buying a larger home at a more affordable price. PropertyShark notes that this may be due to the large number of Gen Z the hardships among older siblings or even parents during the recession years. Find the full report from PropertyShark here.